The mechanism can be supplied with a cutter (RM version) or with just a tearbar (CM version). 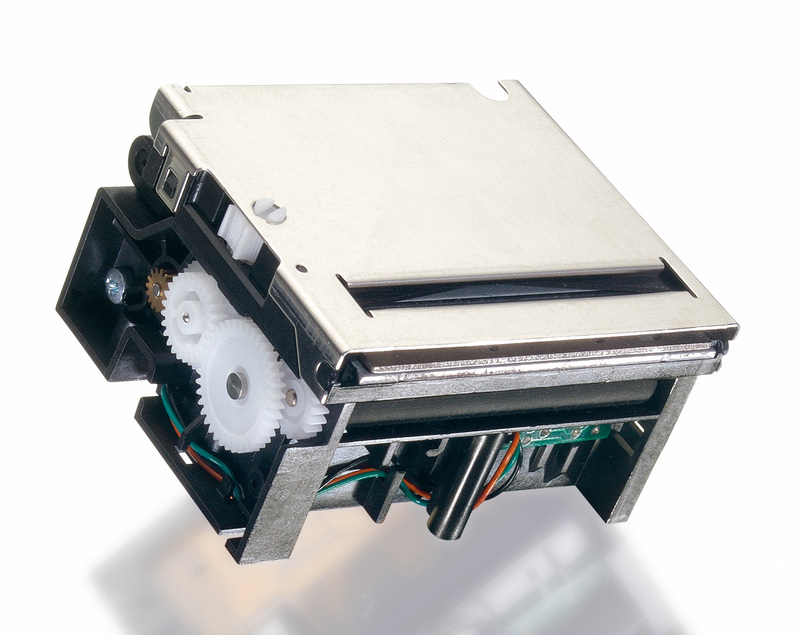 Thanks to the smart integration of its reliable cutter (1 million cuts) into the hinged cover, the size of the RM series is considerably smaller than most of the comparable printer mechanisms on the market. The CMDG is a version of the mechanism that allows printing on very thick paper, up to 170 µm, for applications like prepaid phone cards and contactless cards integrating RFID applications. With this version, you can print on card stock of many different sizes and thicknesses, as well as on labels at high speed (up to 90 mm/s), while taking advantage of a single connection concept. For more demanding application, top printing speed up to 250 mm/s can be found in the newly launched Premium version of the CM/RM mechanism series..